I have a vice. The only fast-food breakfast that ever interests me is a McDonald’s Sausage McMuffin with Egg. But it’s not the healthiest sandwich, especially when it usually comes with a 32oz fountain drink and a deep-fried hash brown. One of my slightly healthier alternatives is to make the sandwich myself in the RV. 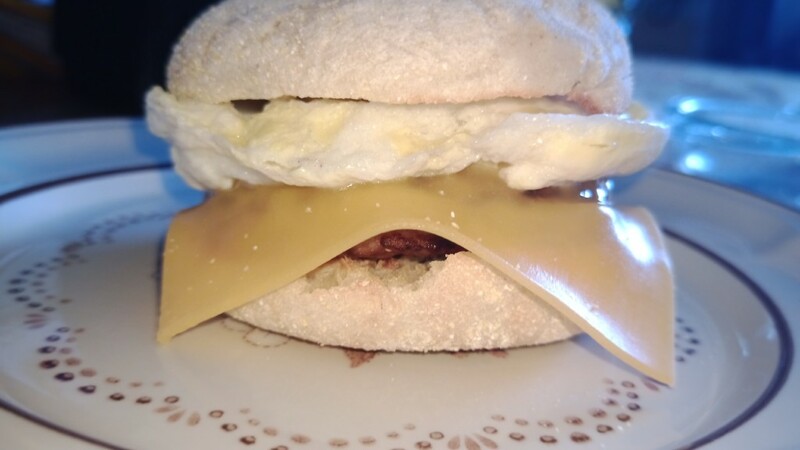 It can be ready to eat in the time it takes to toast the English muffin, using frozen sausages, sliced cheese, egg, and the microwave. It’s a simple recipe, so I’m not going to beat it to death. English muffin. I usually use store brand refrigerator muffins. Sausage patty. Ideally, it’s the size of the muffin. Current favorite is Smithfield’s All Natural Patties, and the maple variety when I find it. 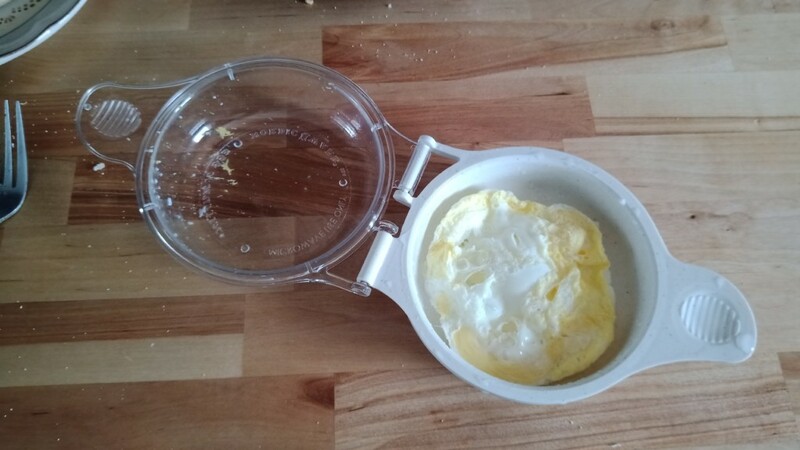 You’ll need a microwave, toaster, and a microwaveable egg cooker like this. I should point out that the main reason I don’t like most of the pre-made breakfast sandwiches is the egg. It just doesn’t have the right texture after being frozen. 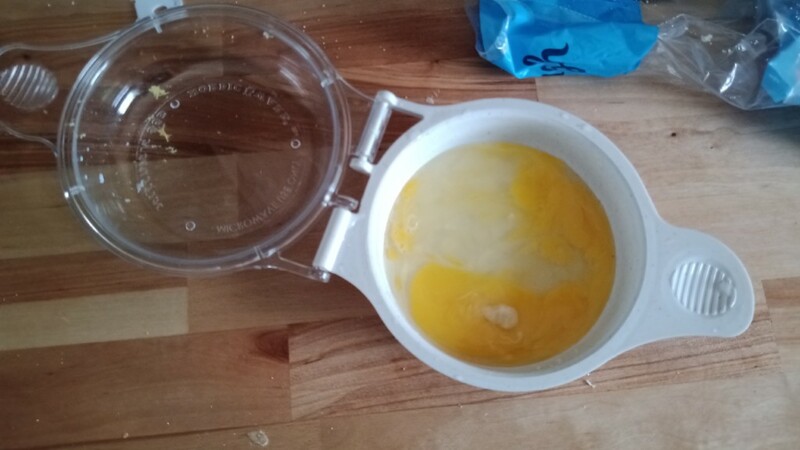 Without one, simply fry or poach the egg, but make sure the yolk is firm to avoid a messy sandwich. Split English muffin with a fork, and start in toaster. Place 1 sausage patty in egg cooker, and microwave for about a minute. Doing this, the grease helps make sure the egg releases cleanly. 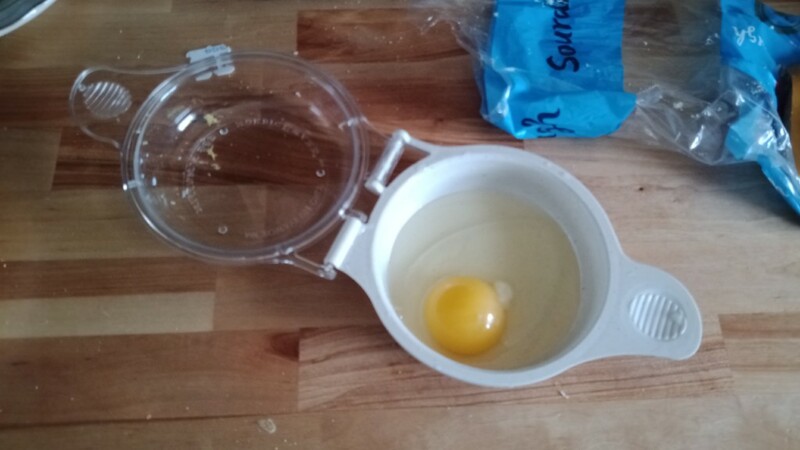 Set sausage aside, and crack egg into egg cooker. Break yolk and lightly mix with fork. Mixing helps prevent the egg from splattering. Microwave egg until firm, about a minute. 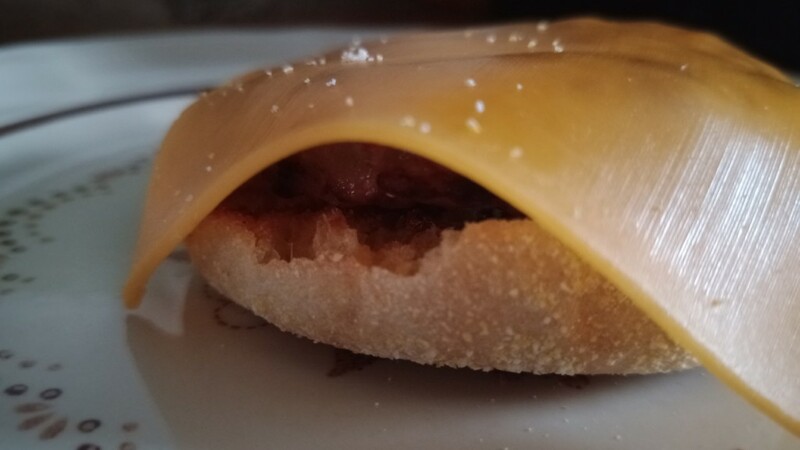 Place slice of cheese over sausage, and place on half of muffin. 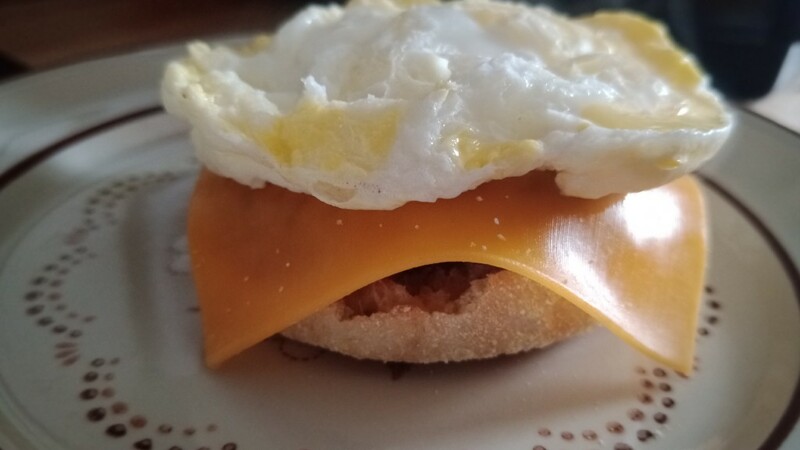 When egg is finished, place it on top of cheese, and top with the other half of the muffin. Muffin with sausage and cheese. Cracked egg. Microwave it like this and you’ll be cleaning the microwave. Egg ready for the microwave.